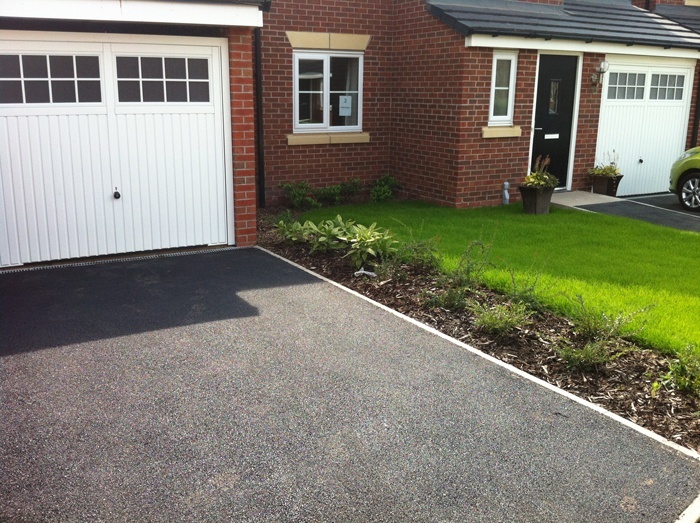 Alpha Surfacing prides itself on its beautiful Driveway installations. 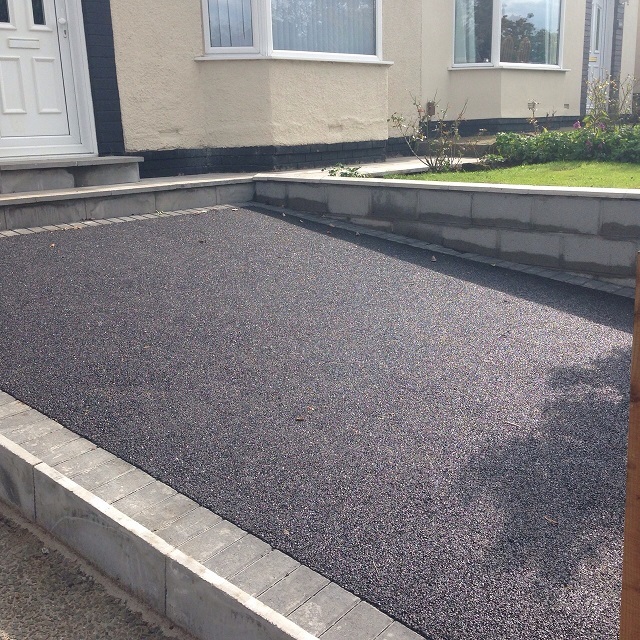 We strive to accommodate our clients’ requirements and are happy to work with you to achieve a satisfying result. 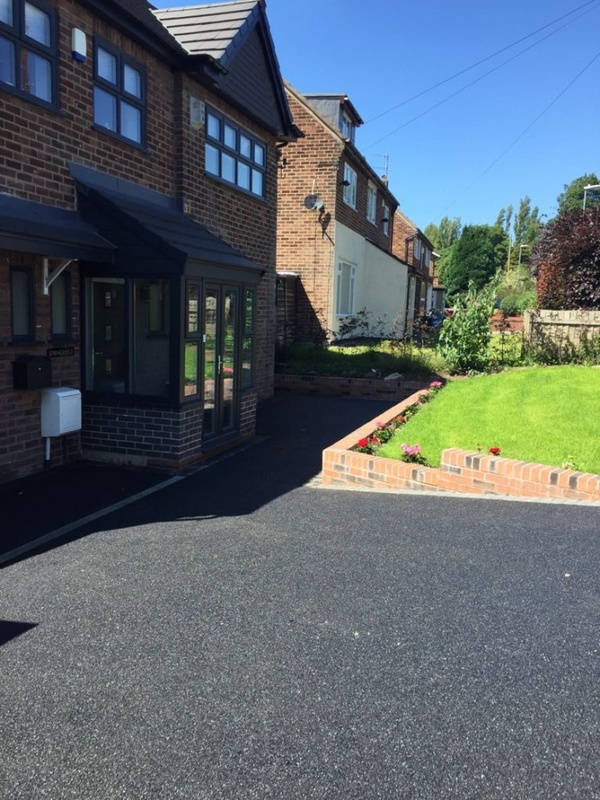 Have a browse through some examples below of our tarmacadam driveways in the Liverpool area. 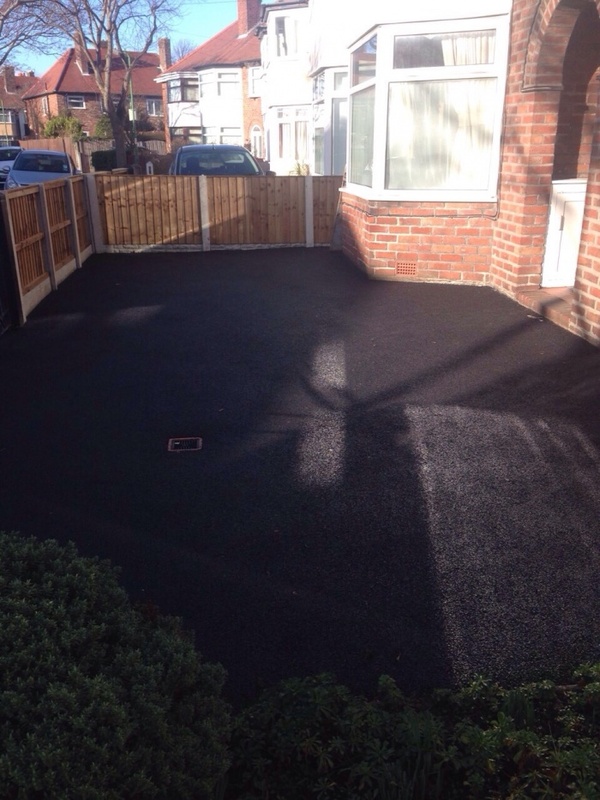 We have many years of experience in surfacing driveways and providing perfectly levelled tarmacadam. 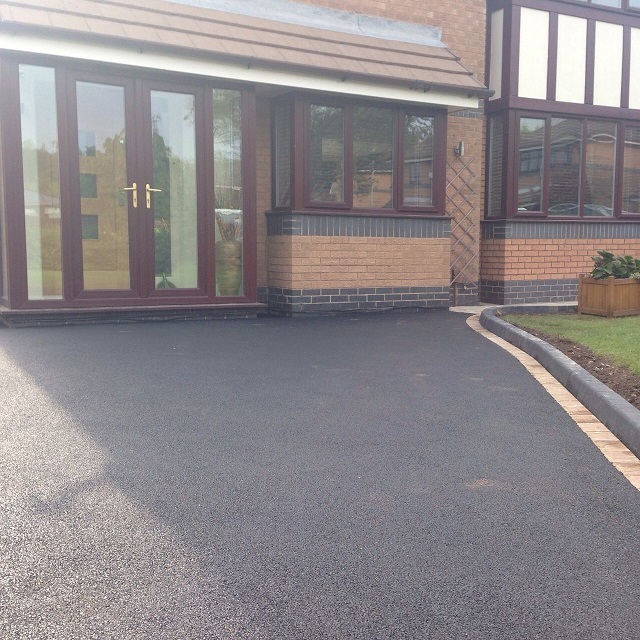 If you are looking for a professional finish don’t hesitate to give us a call to receive a no-obligation quote. 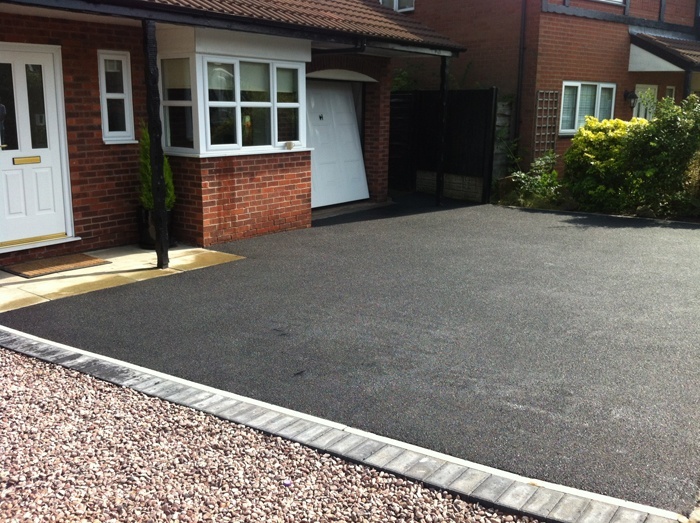 We offer driveways throughout Merseyside, Warrington and the surrounding areas. 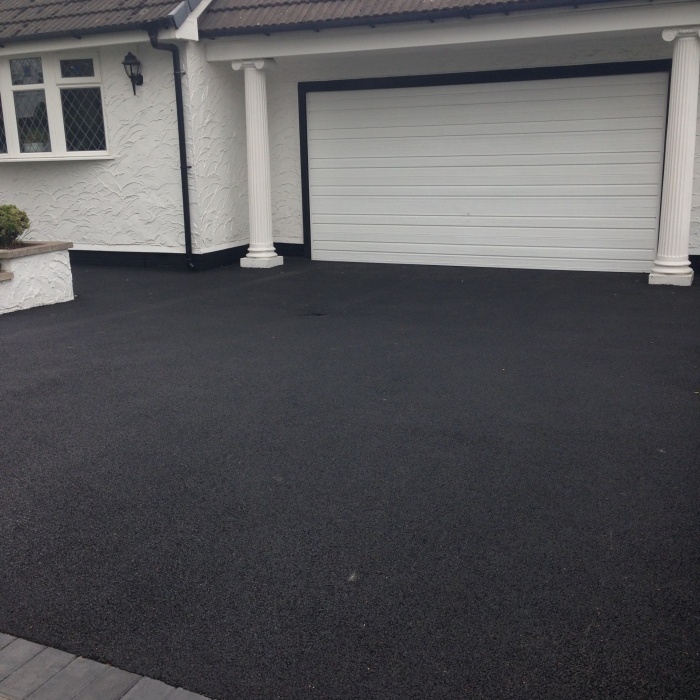 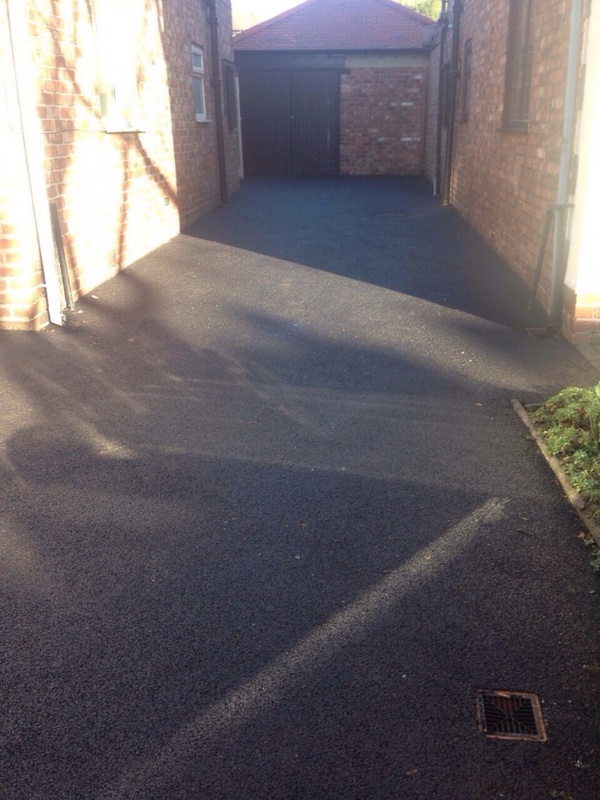 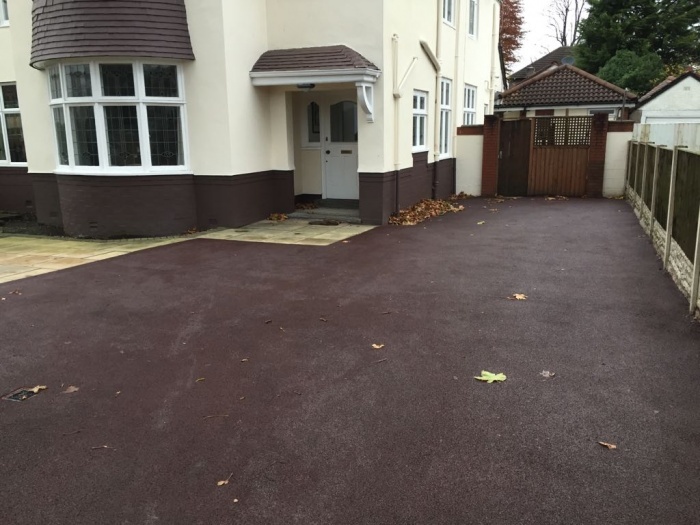 Why Choose Tarmacadam for your Driveway? 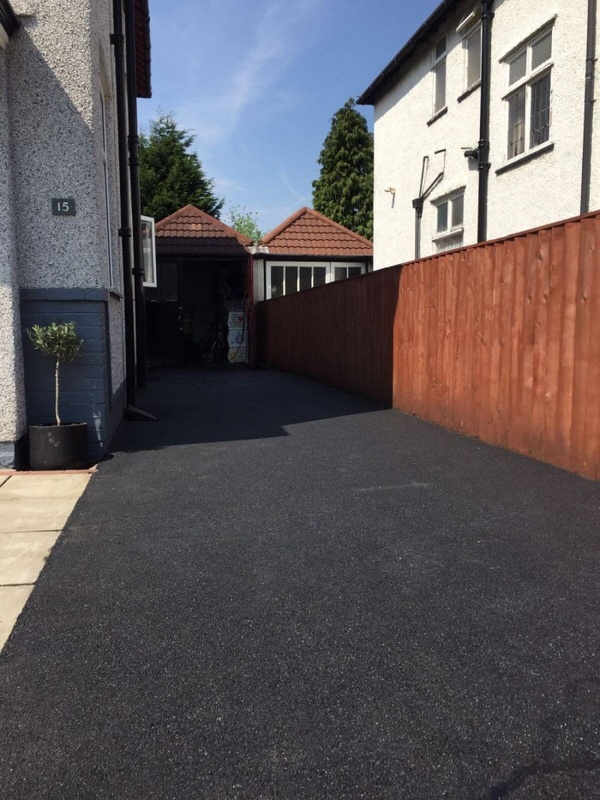 Tarmacadam (more commonly known as tarmac or asphalt) is known as one of the most effective ways to pave a path, driveway or any large area that will be used for vehicles. 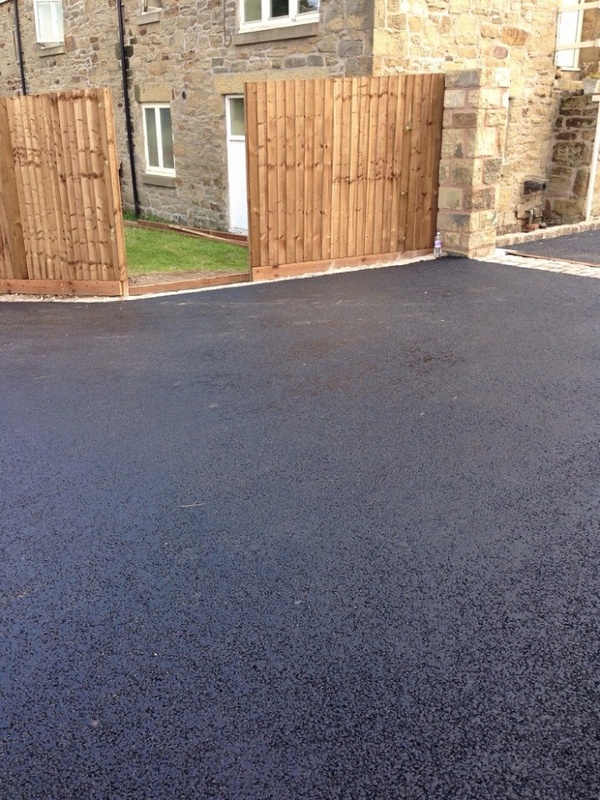 Its smooth, solid finish gives a professional look whilst protecting vehicles from the hazardous risks of uneven surfaces. 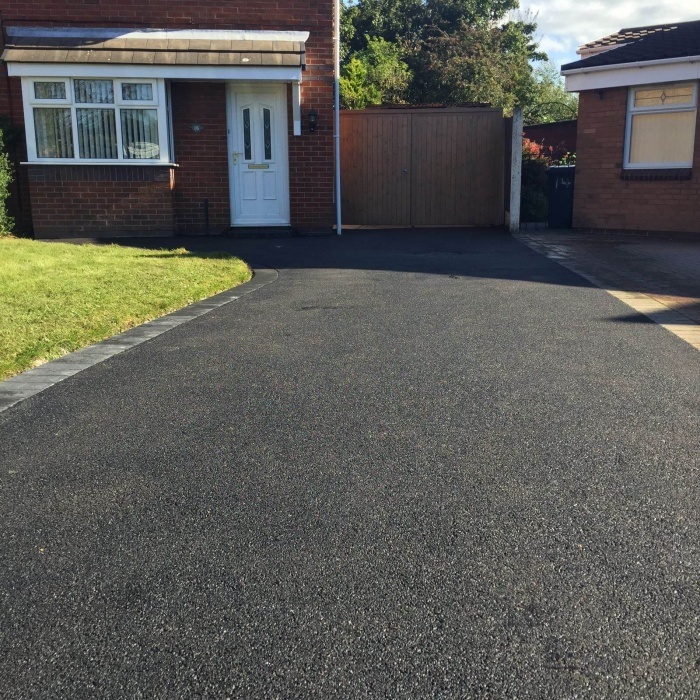 We are able to surface driveways by applying a layer of tarmacadam over concrete or even existing tarmacadam that has become worn. 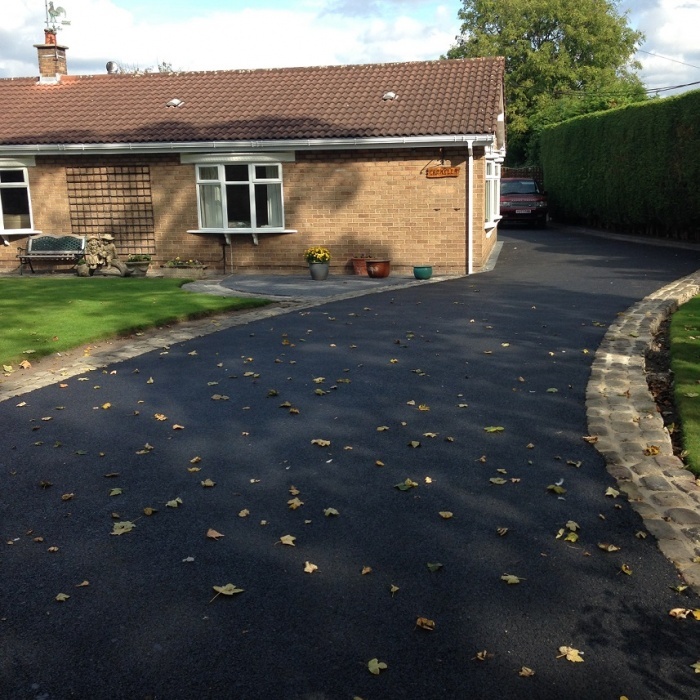 Resurfacing existing tarmacadam driveways with a new wearing course is usually the fastest way to refresh your drive without disrupting your daily routine. 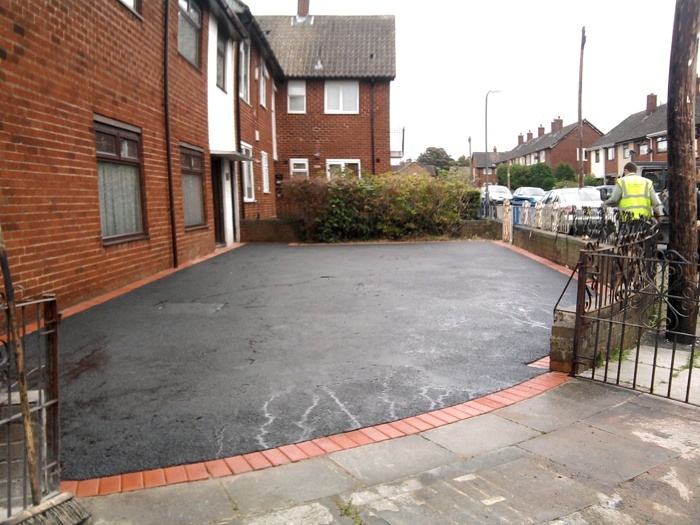 You’ll be able to get back to using your driveway quickly, with minimum cost or fuss. 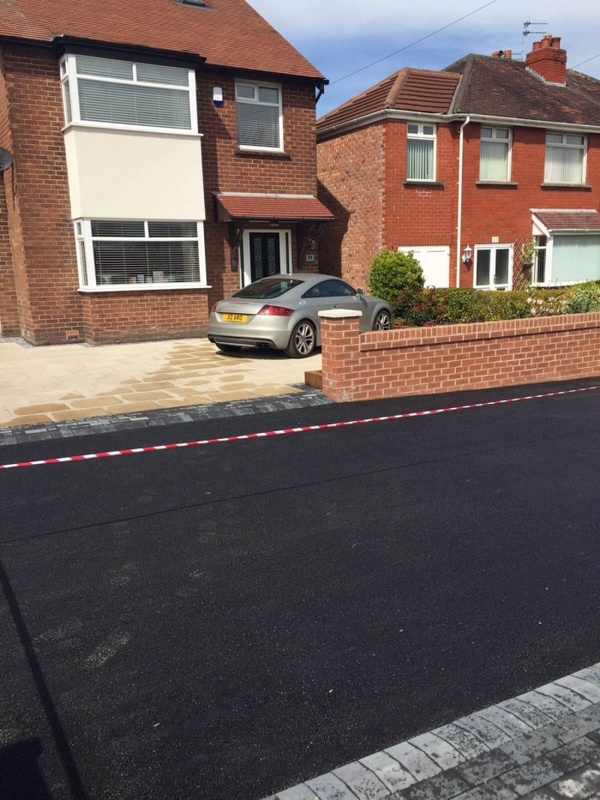 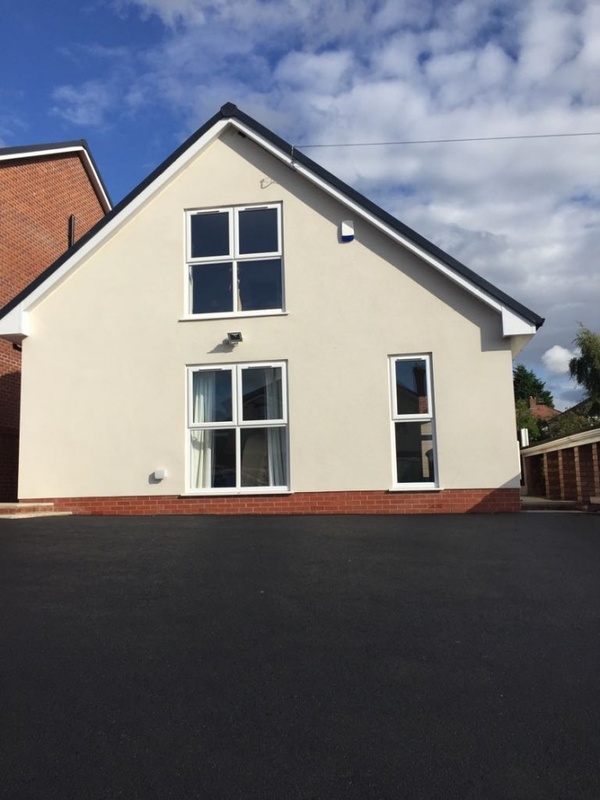 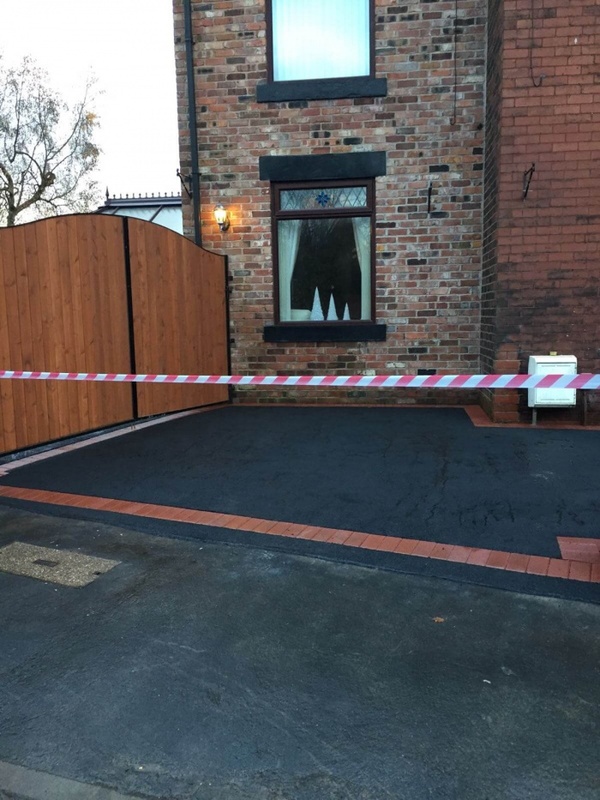 We have provided driveways throughout Liverpool and Merseyside for a large range of clients including homeowners; schools; caravan parks; nursing homes; building companies and parks. 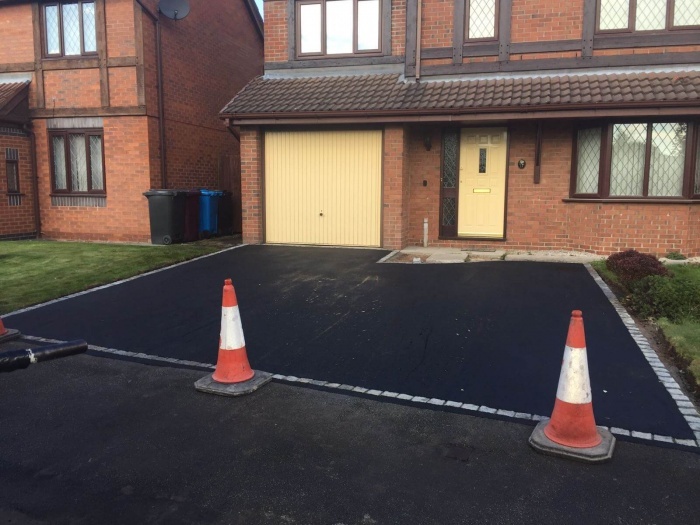 Common circumstances where tarmacadam is required include family driveways; larger driveways on exclusive building developments; school yards and drives, car parks and even airport runways. 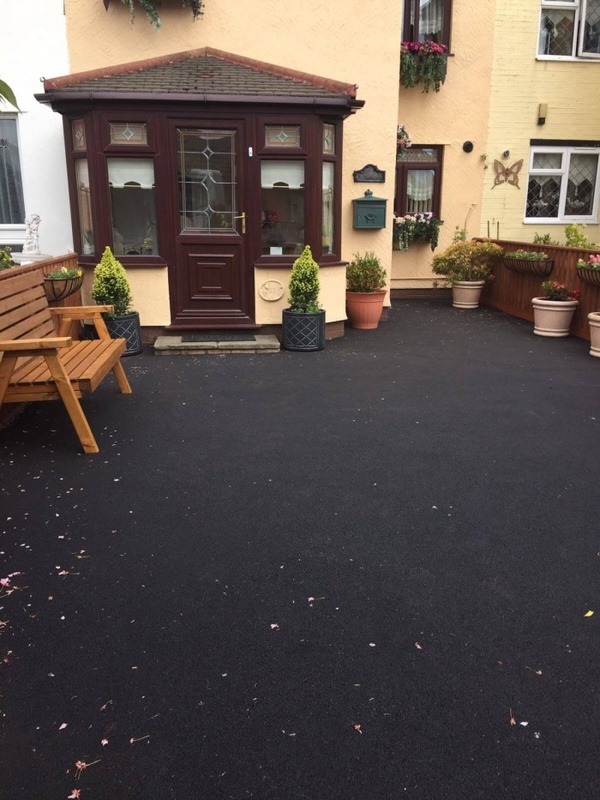 Our customizable features include coloured Tarmacadam, kerbing; stone edging; pebbled edging; fine finish; grained finish and even coloured tarmacadam. 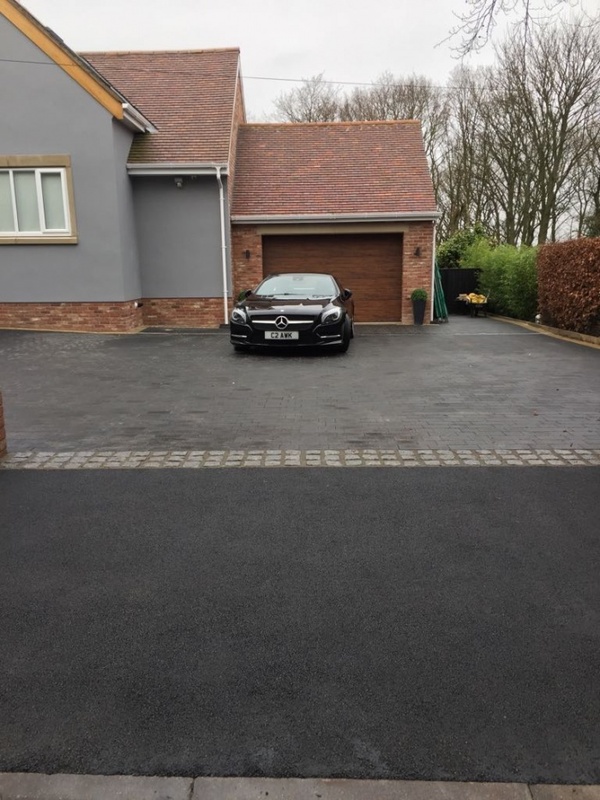 We aim to provide every one of our customers with a bespoke driveway that is unique to them. 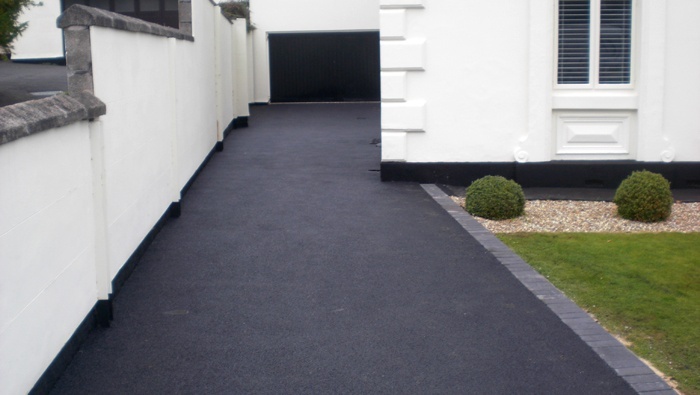 We are happy to work with you or your architect to ensure you receive a driveway that meets your design dreams. 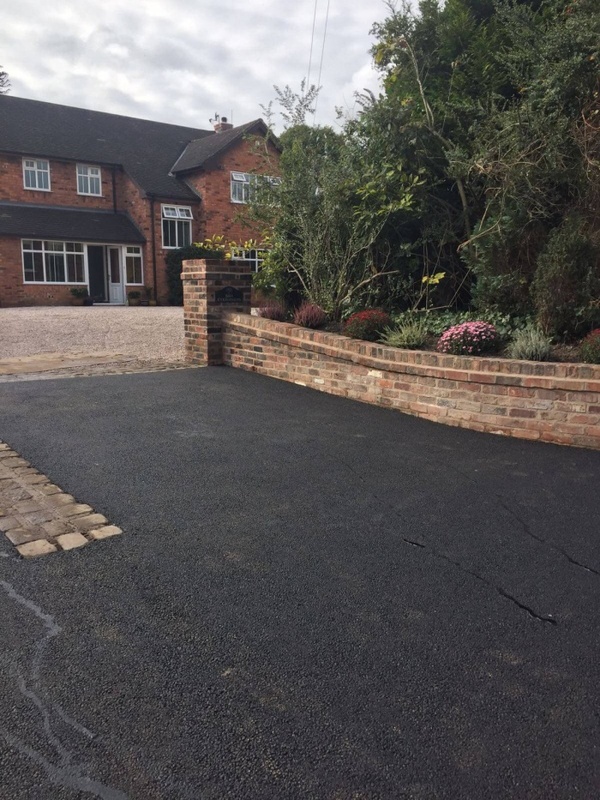 Whether you’re interested in a tarmacadam driveway for function or practicality; or wish to add a more customised touch to the exterior of your home, we can provide both quality and reliability at a price that you can afford. 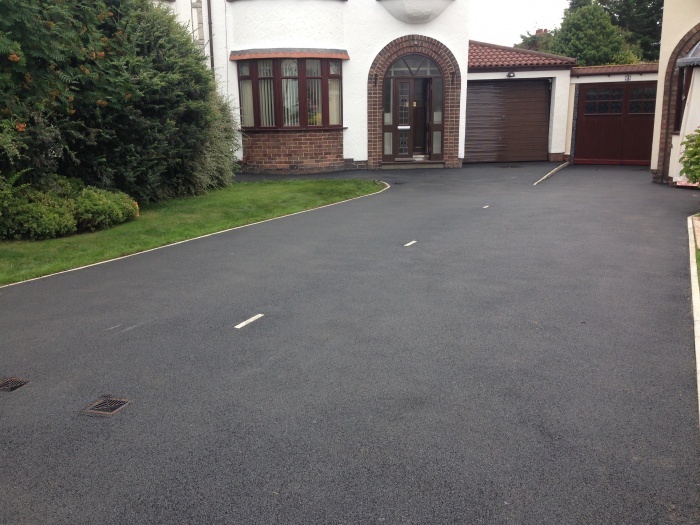 When you get your driveway done by Alpha Surfacing, we guarantee the quality of work. 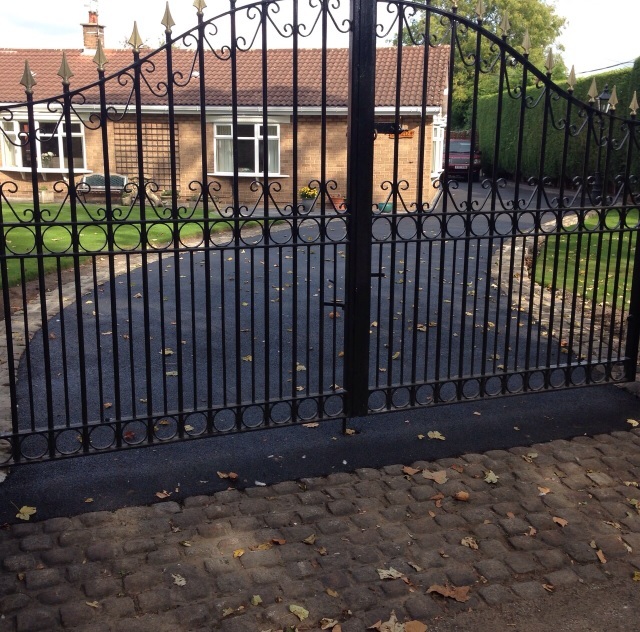 Before any job is signed off we ensure that we have completed it to the highest standards possible. 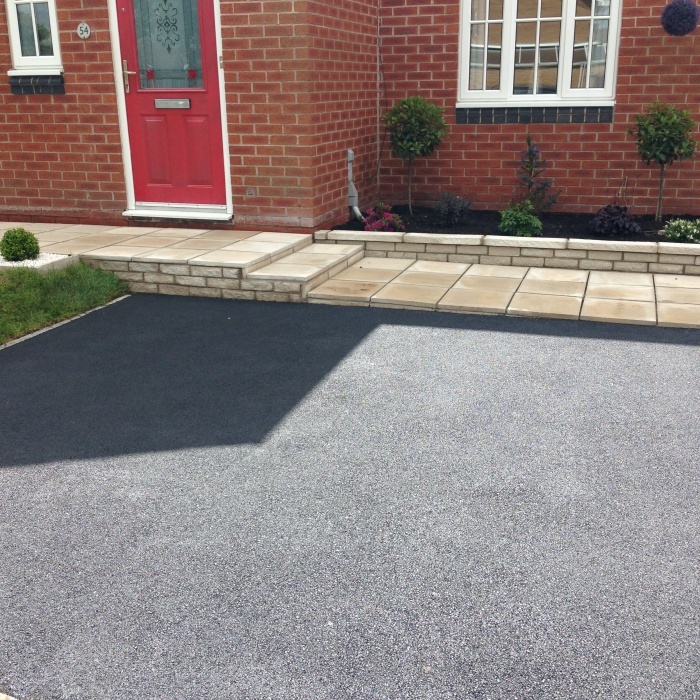 Ever since we started our operations many years ago, we have maintained a 100% customer satisfaction rate!